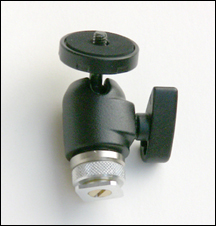 If your accessory has a 1/4-20 threaded hole in the bottom, like many audio recorders do: Remove the backing from the rubber pad and carefully align it on the Mounting Plate. 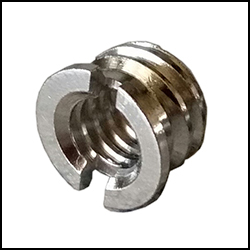 Then take the 1/4-20 thumbscrew, insert it through the hole at the end of the slot in the plate and snap it into the slot (photo 1). 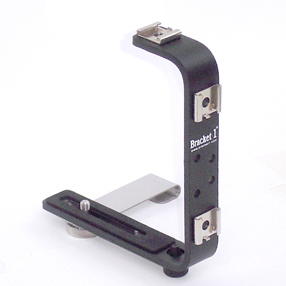 Attach the Threaded Cold Shoe Adapter into the back side of the plate in the threaded hole. 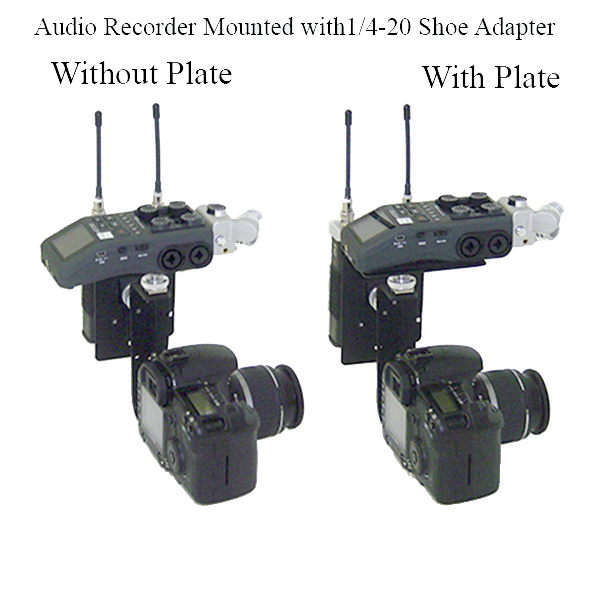 Attach your audio recorder or other accessory and mount the unit in any hot or cold shoe (Photo 2). 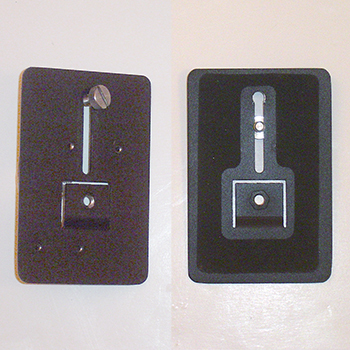 If you'd like to attach your wireless receiver or accessory using a Quick Plate or Custom Receiver Box: Attach a Quick Plate (not included) or a Wireless Receiver Box (not included) to the Universal Mounting Plate using the 4 hole offset pattern as shown (photo 3). 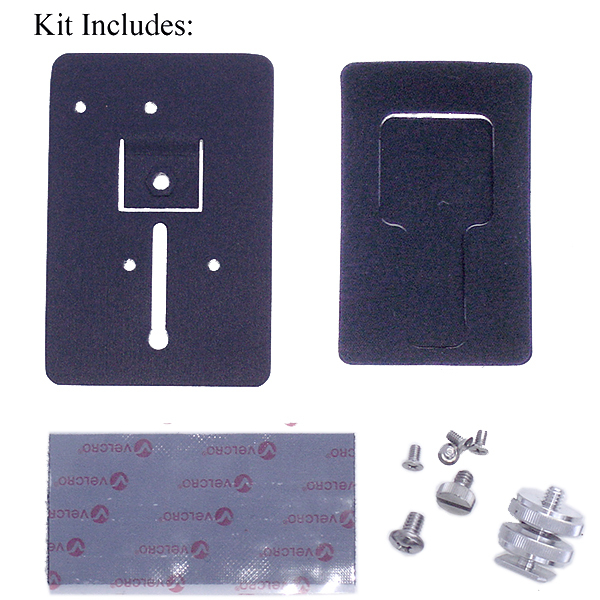 The Quick Plate (or box) will come with it's own screws but there are alternative screws included with this plate. 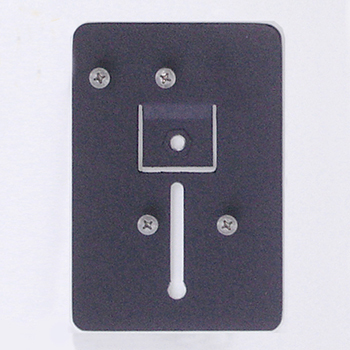 Attach the Threaded Cold Shoe Adapter into the back side of the plate in the threaded hole. 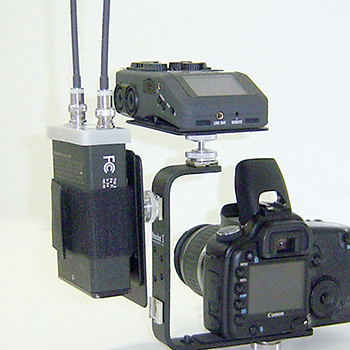 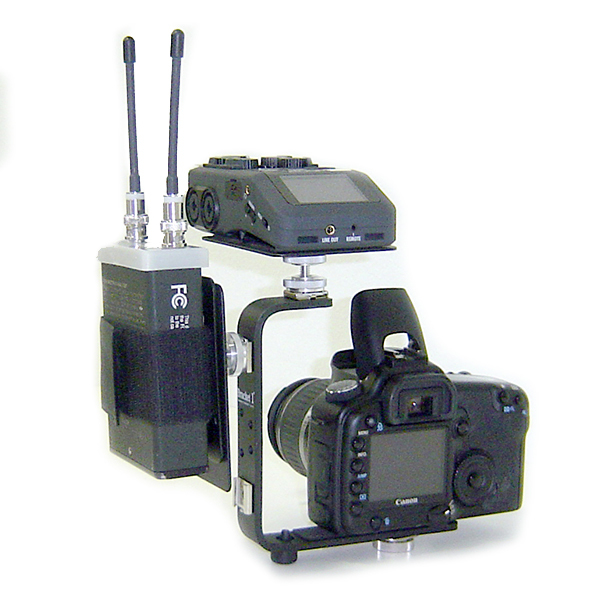 Attach your wireless microphone receiver or other accessory and mount the unit in any hot or cold shoe (photo 4). 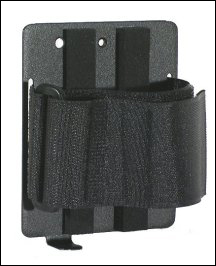 If your accessory has no mean of attaching, use the velcro pad: Tear the two halves of the velcro pad apart (photo 5). 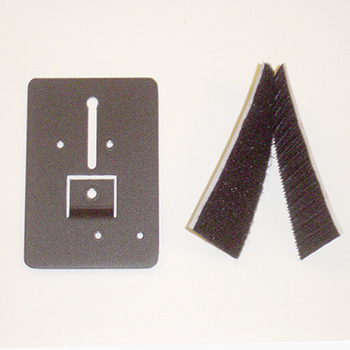 Remove the backing from each piece. 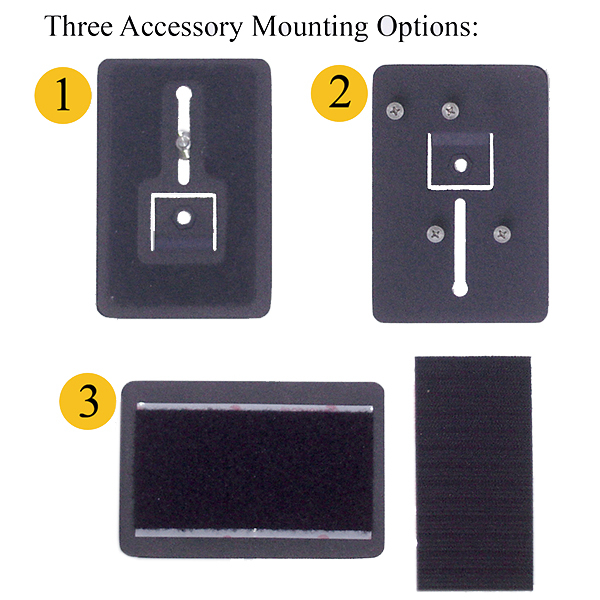 Attach one to the Universal Mounting Plate and one to your accessory. 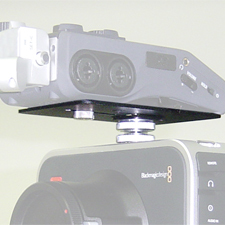 Stick the two pieces together to mount. 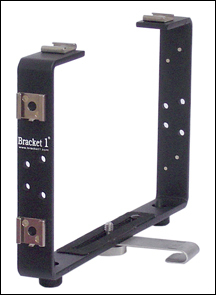 Attach the Threaded Cold Shoe Adapter into the back side of the plate in the threaded hole. 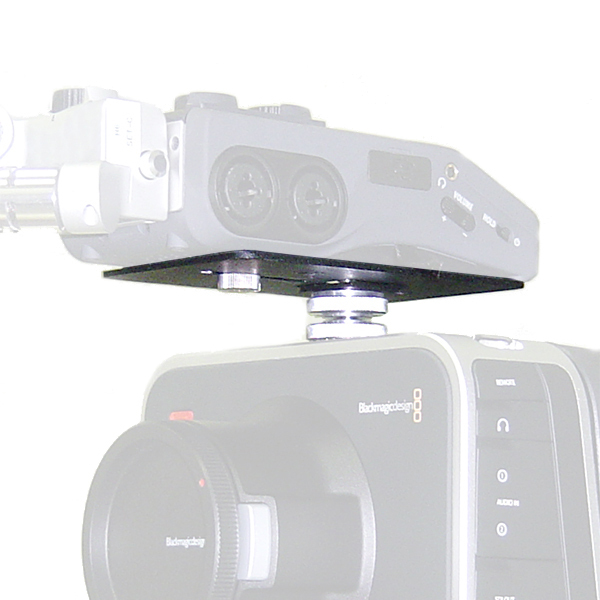 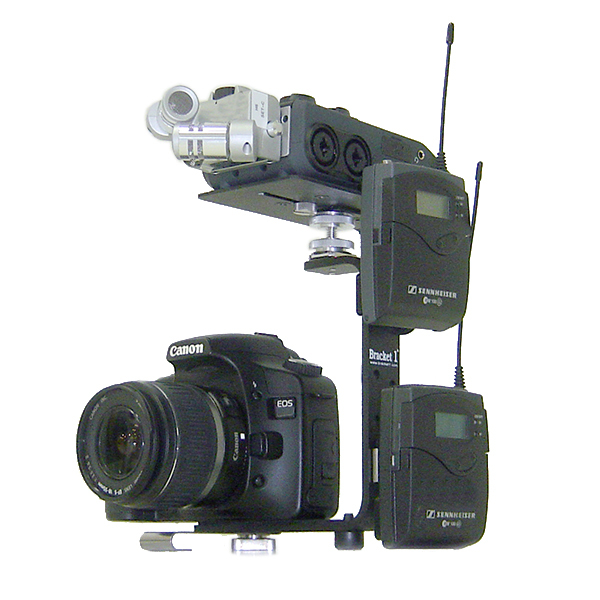 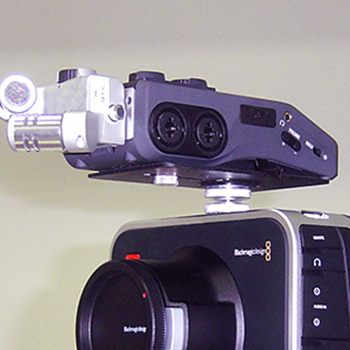 Attach your audio recorder or other accessory and mount the unit in any hot or cold shoe.